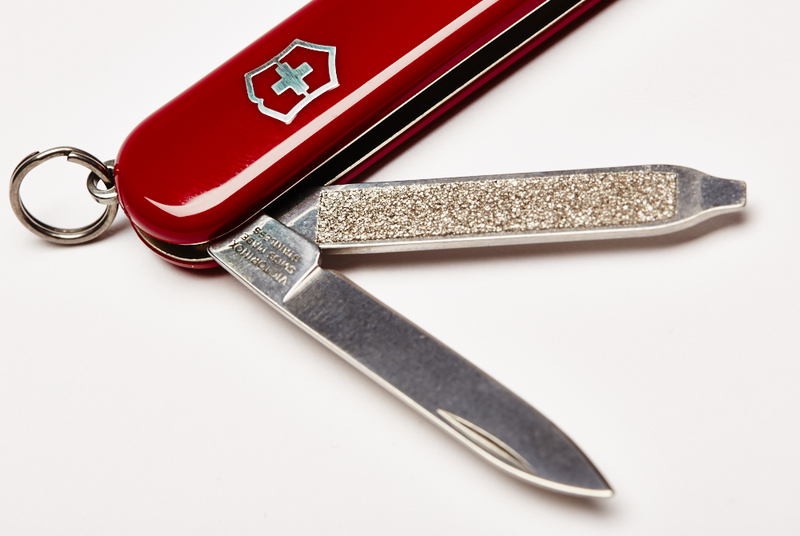 Since 1884, this is the original swiss army knife. 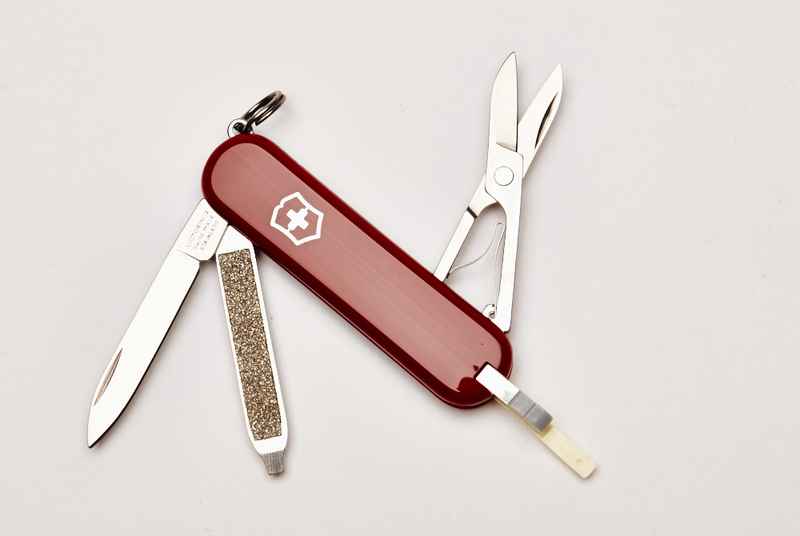 Contains small blade, nail file, scissors, toothpick and tweezers. Avalible in red, black, white, and blue.